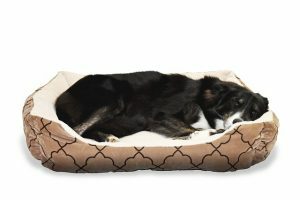 There are several reasons why every puppy deserves a comfortable dog bed. The first reason is that it is going to be good for their health. This is because they are going to have a more comfortable place to sleep. This means that they are not going to be restless and will have a better nights sleep. When your dog does not get enough sleep at night, then they are going to be more irritable and will be more likely to get in trouble. If you have an overweight dog, then the lack of sleep is going to affect their health. The second reason is that it is going to be some extra insulation in the weather. This means that your dog’s body temperature is going to be better regulated no matter what the weather is outside. When the dog’s temperature goes up and down, it is going to cause them to get sick. 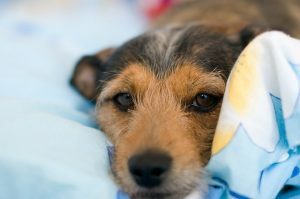 It is usually a good idea to check on the dog’s temperature when it is extremely cold or hot outside to make sure that their temperature is regulated while they are trying to sleep on their bed with the mattress topper. The third reason is that you are going to be able to preserve the bed that they are sleeping on a little bit better. This is even going to be better than the dog sleeping on your bed. This is because they are going to be a lot less likely to twitch and turn while they are sleeping if they are comfortable. Plus you are not going to get woke up by the kicks at night. This also means that the dog is going to have more space to move around in their own bed without any restless sleep. 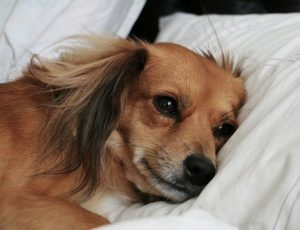 The fourth reason is that everyone including the dog is going to be able to get a comfortable nights’ rest. Even though you might love the fact that your dog is sleeping with you, there is going to come a time when it is going to become annoying. Plus all of the fur that the dog is going to leave behind on the bed is going to be hard to clean and can cause you to have some allergies. But your allergies is going to be a lot better when they are leaving all of that fur in their own bed. The fifth reason is that the dog is going to be able to have their own space. This is going to be a place where they are going to feel safe. Since dogs sleep for a long period of time, they are going to need a comfortable place where they can curl up and rest sometimes during the day. This is one of the best ways that you will be able to make sure that your dog is happy. But you will need to make sure that you get the right dog bed.